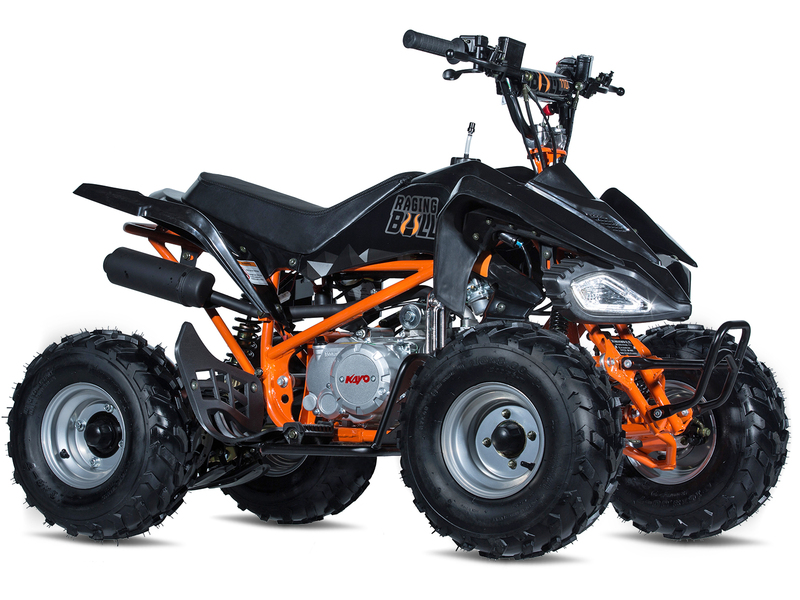 The Kayo Raging Bull 110 is our entry performance ATV aimed at children from 10 years and upwards. From the manufacturers of Stomp Pit Bikes and with significant design input from Stomp Racing in the UK, you can rest assured the Raging Bull 110 has been carefully considered with safety, performance, durability and ultimately fun being the key factors. The Raging Bull 110 features electric start and is fully automatic with adjustable throttle restrictor & safety cut-out lanyard. The exhaust has been designed to be quiet & the electrics are of quality construction to cope with regular power washing. 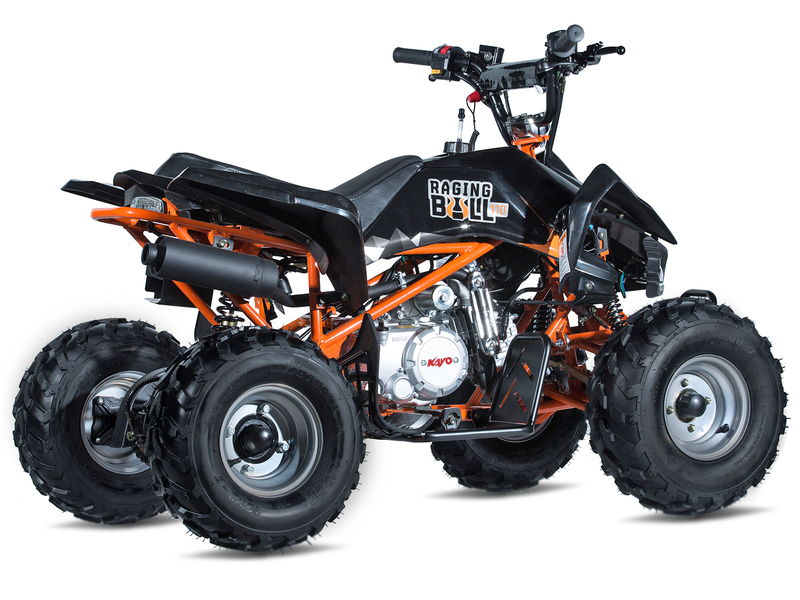 One key feature not to be missed is the fully independent double wishbone front suspension making this ATV stand out as the top performer in its class. The handling and stability really are second to none. 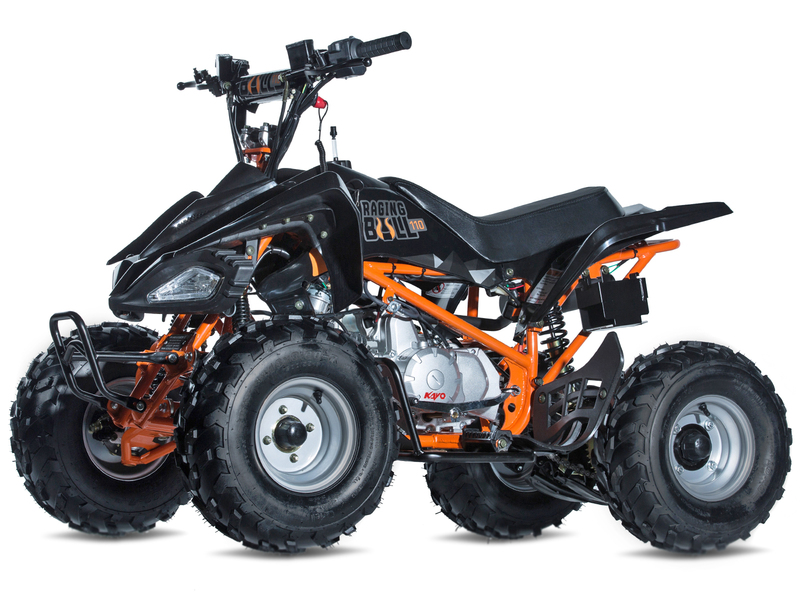 Also to note, stylish plastics & a powerful yet versatile 110 cc 4-stroke engine make this the mini off-road racers’ dream quad bike and all for a very reasonable price. Kayo ATV’s are designed to be ridden regularly and are thus totally serviceable. The Raging Bull 110 maybe great value for money, but do not confuse it with generic Chinese rubbish you will find online from many other retailers, this is truly a serious quad bike, not a toy. 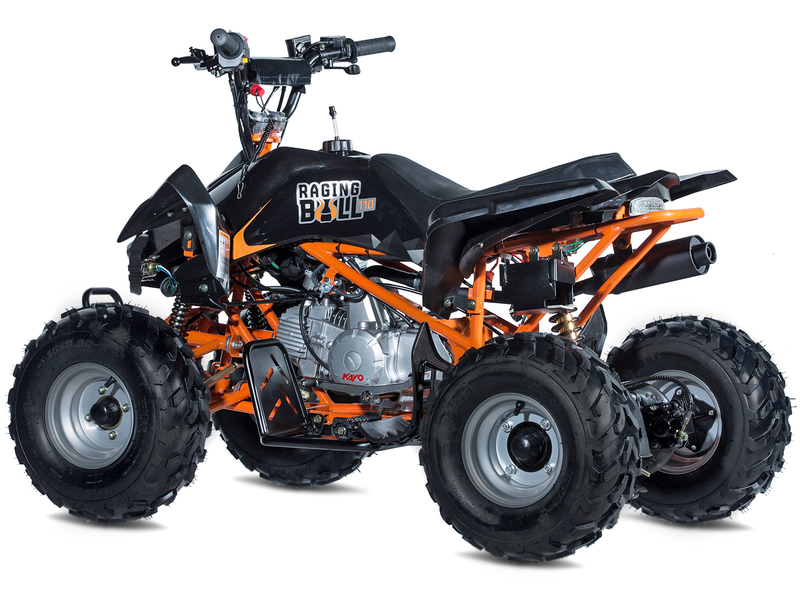 If you are looking for a high performance, quality, rugged and stable ATV designed to last many years with an unprecedented dealer network & spares back-up, The Raging Bull 110 is definitely for you.